here is another diy i tackled this weekend. it is really easy and it took me about 15 minutes to do. the kids loved it! another trip to the dollar store (woop! woop!) 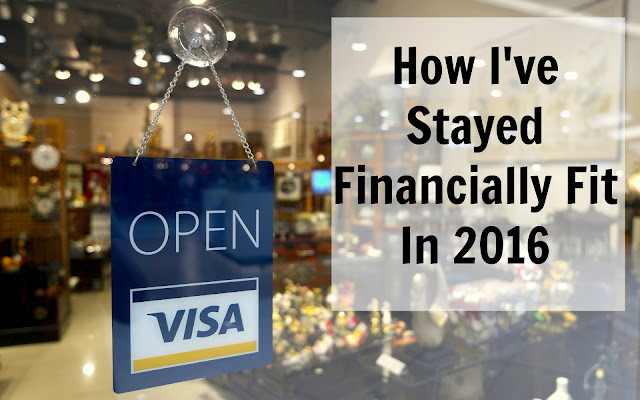 may be in order or you may even have some of these things at home already. 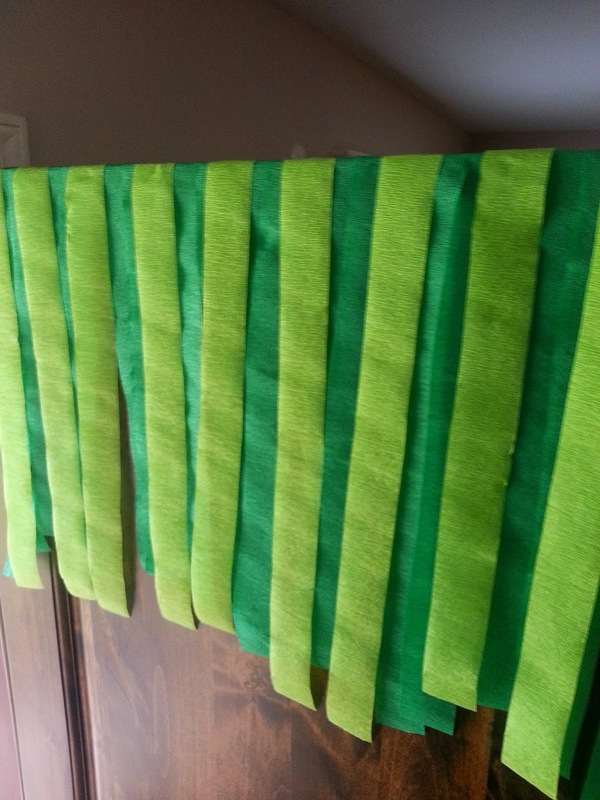 the streamer paper is $0.88 at Party City. at Dollar Tree they are obviously $0.99 but they come in a two pack. pick out the colors you want for the monster hair but the black is a must. 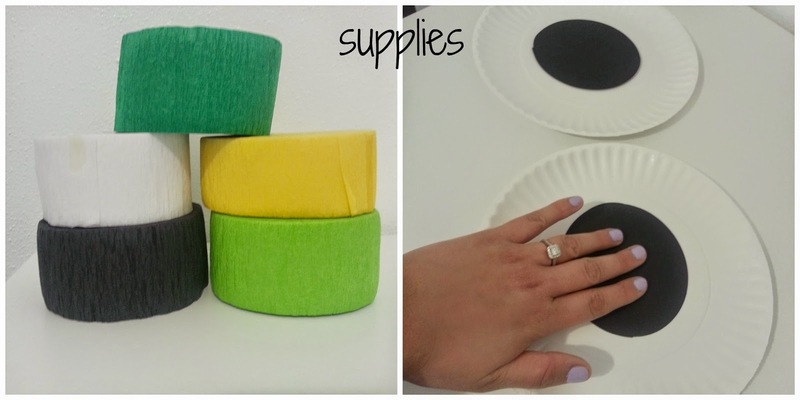 next, cut out the eyeballs from black card stock or construction paper and tape them to the center of the paper plates. i chose these plates specifically because they have that ribbed edge that makes it look more eyebally (new word here) than a smooth plate. but again, use what you have. 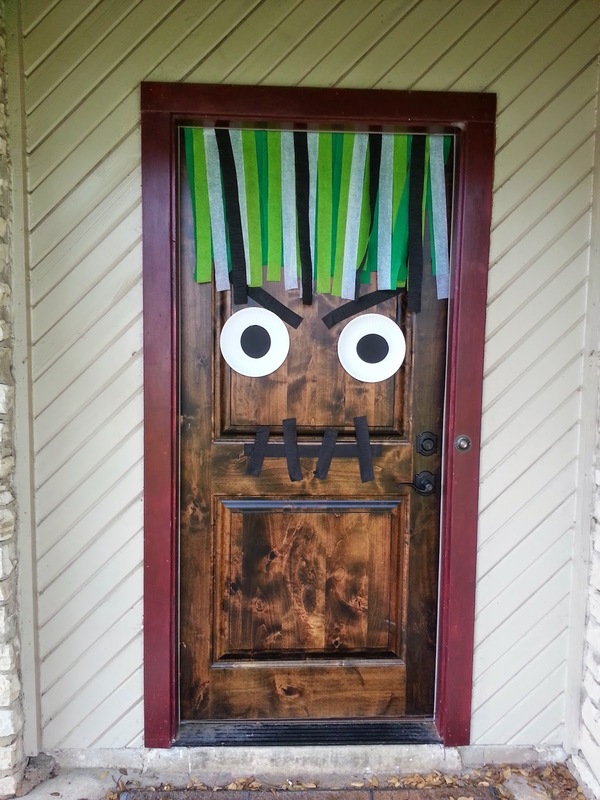 i then chose white streamers to add a highlighting effect to Monster Door's hair. he is fashionable i tell you. what i did was put a white streamer strip down, skip a space, then put another white streamer. 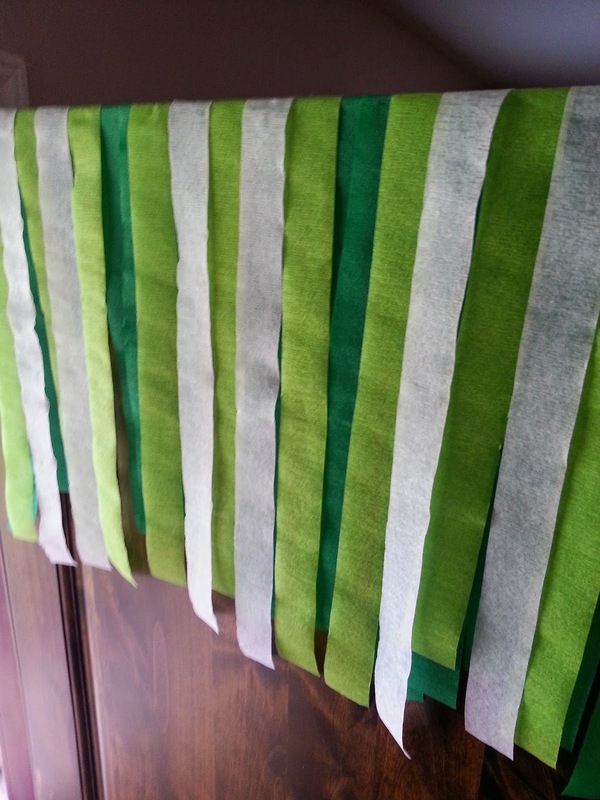 then i skipped about three green strips and then again laid a white streamer down. this picture better explains things i hope. the last hair step was adding some black strips. 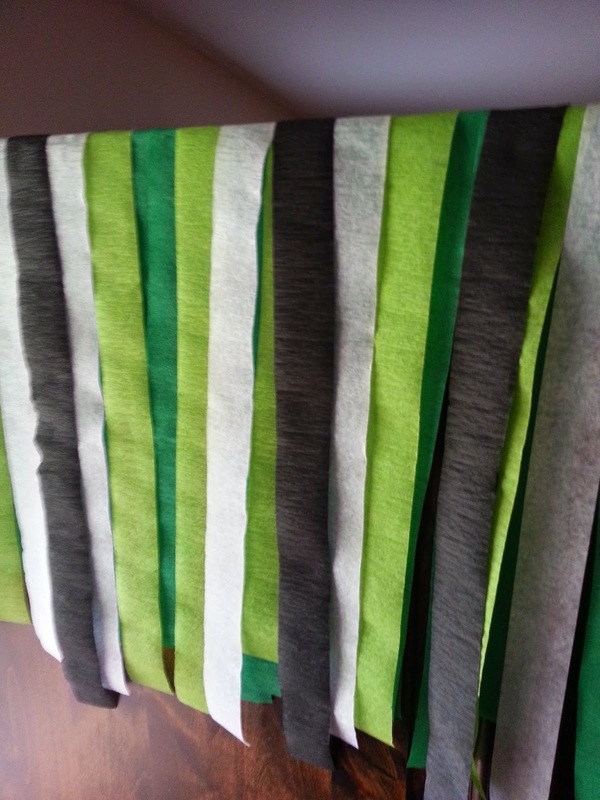 i laid the streamer paper in between the two white streamers and actually cut these streamers the longest and all at an angle. now Monster Door's 'do is complete! 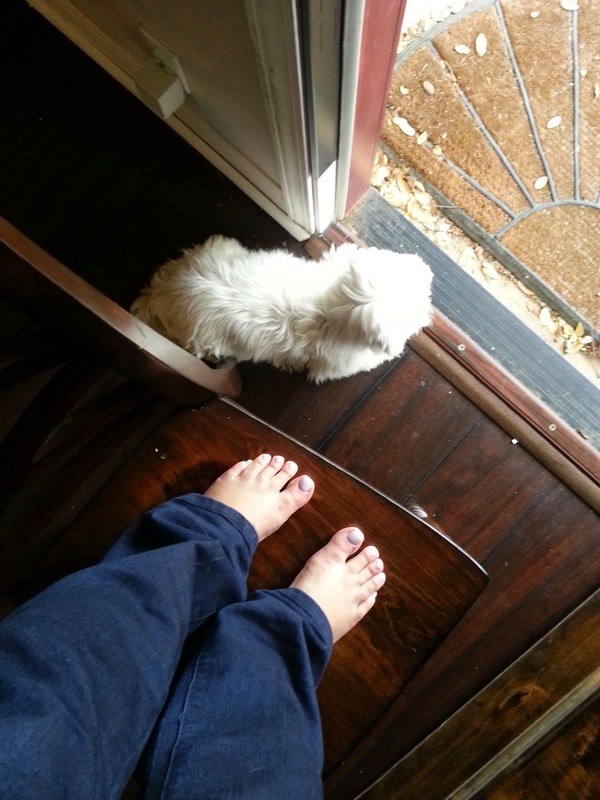 also at this point my guard dog was done supervising the whole process and was taking a nappy nap. anyways, i hope you like this diy project and try it out yourselves. remember to follow me on Instagram and tag me if you try it @lifeinmascara. happy crafting!